The Evergreen Sportsplex provides the perfect setting for your child’s fun and adventure filled birthday party. 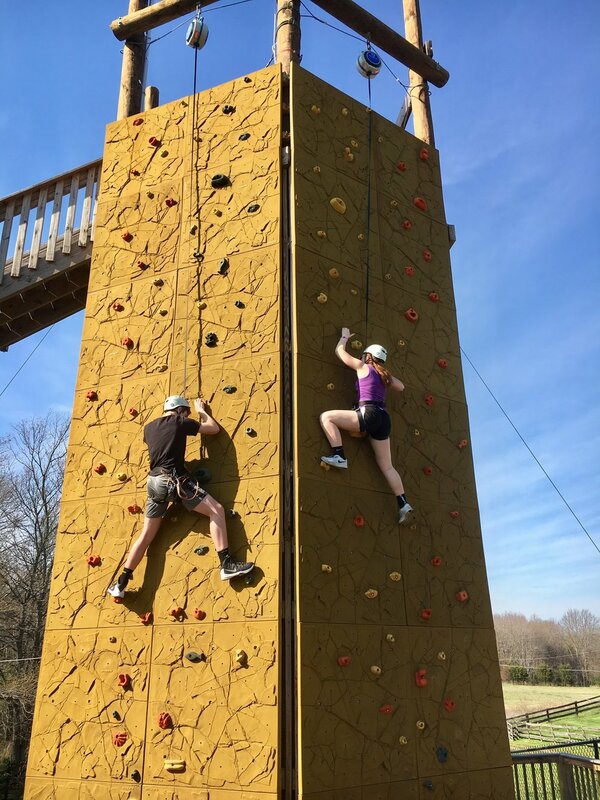 In addition to a spacious and decorated party room, pavilion, and world class all-weather turf fields, we offer the area’s best Adventure Course featuring rock climbing and rappelling, zip lines, and a ropes course. Choose from one of our unique packages below or custom create your own party bundle! No matter the size or style, our trained party staff will provide the party you are looking for. From set up to clean up, we got you covered! Field sports and activities include Flag Football, Soccer, Kickball, Dodgeball, Wiffleball, Sharks & Minnows, Capture the Flag, Bubble Soccer, inflatable sports arenas, and many more! * To use the Adventure Course Riders must be eight years old, at least 75 pounds and 4'8" tall. They can rock climb at any weight. * All food for our parties is provided by our award winning in-house food provider RESQ GRILLE. We do not allow outside food or drink except for cake. *Relay races, sports, gaga ball, dodge ball, etc. *Evergreen Sportsplex provides a max 24 SHARED bubble balls at a time. Want to customize your child’s party? We can do that! Call us at 703-771-8600 to discuss different options for your child’s special day. Option of pre-prepared theme kits (super heroes, various sports, or rock star) or let us know what your child wants and we can make it happen! We can provide various types of goodie bags and custom gifts as well! Thank you! An Evergreen Sportsplex Party Coordinator will reach out to you soon!